JFK. A Motorcade. A Rifle. But this Wasn’t Dallas. Stephen F. Knott is a professor of national security affairs at the United States Naval War College. It was Springfield, Illinois – at the height of the Cuban Missile Crisis. Recently discovered evidence in the archives of the John F. Kennedy Library in Boston shows there was a serious breach of security in the midst of the Cuban Missile Crisis that could have altered the course of history. The Cuban Missile Crisis is one of the most over-analyzed events in American history, so much so that it is hard to believe there is anything new to learn about the most nerve-wracking confrontation of the Cold War. Yet Americans both then and now were unaware of how close history came to be altered by President Kennedy’s assassination, in, of all places, Springfield, Illinois, the home and final resting place of Abraham Lincoln, on October 19, 1962, four days into the missile crisis. John F. Kennedy left the White House that October morning in order to divert the media from the fact that a crisis was unfolding in the Caribbean. The President kept a previous commitment to travel to Illinois to campaign for Democratic congressional candidates in the 1962 off-year election. In the interim, Kennedy instructed his ExComm – Executive Committee of the National Security Council – to come up with options to present to him upon his return to Washington. Had President Kennedy been killed or wounded, Vice President Lyndon Johnson, who, as historian Sheldon Stern has noted, wavered between a hawkish position and a more conciliatory stance regarding the missiles in Cuba, would have faced an impossible situation. Knowing of the Soviet deception in Cuba, how much of a leap would it have been to assume that the president had been murdered as part of a larger effort by the Soviets to launch some type of surprise, coordinated attack? 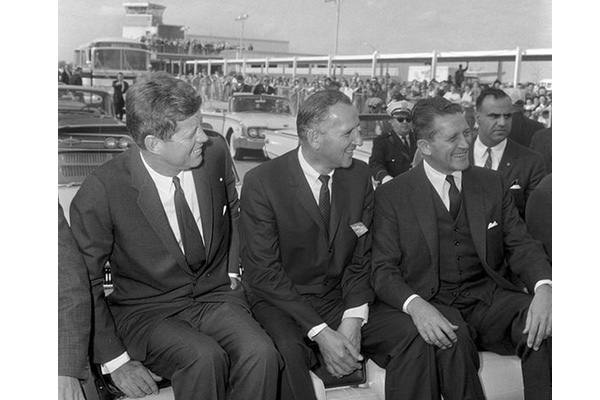 Evidence that Johnson might have responded with force after an assassination attempt on President Kennedy can be found in the secret recordings of the ExComm’s deliberations. At one point Johnson was asked by Secretary of State Dean Rusk whether the United States would be forced to respond militarily. Johnson noted, “I think you’re at that point,” since the public would likely demand action, and while “the President made a fine speech,” the public would want to know “what else have you done?” There was a “great feeling of insecurity” in the country, Johnson added. Even if Johnson did not have evidence linking the Soviets or the Cubans to an assassination attempt, the American public might well have drawn that link, particularly after learning about the missiles in Cuba, and demanded a harsh response. Planning and conducting a state funeral, not to mention dealing with all the emotions surrounding the death of a young president, in the midst of the worst crisis of the Cold War would have compounded an already delicate situation beyond measure. It seems likely that Lyndon Johnson, unsure of himself in the foreign policy realm, would have followed the advice of the majority of Kennedy’s ExComm, and launched some type of attack. Tragically, while lessons may have been learned from the missile crisis, nothing was learned from the events in Springfield in October, 1962. Despite the fact that a rifle with a telescopic sight emerged from the upper floor of a building overlooking a presidential motorcade route, carrying a president who insisted on not being sheltered inside a protective bubble, presidential protection practices remained the same. In Springfield, the rifleman held his fire for whatever reason, perhaps waiting for the President’s return trip, or perhaps he was telling the truth about simply wanting to “get a better look” at JFK. 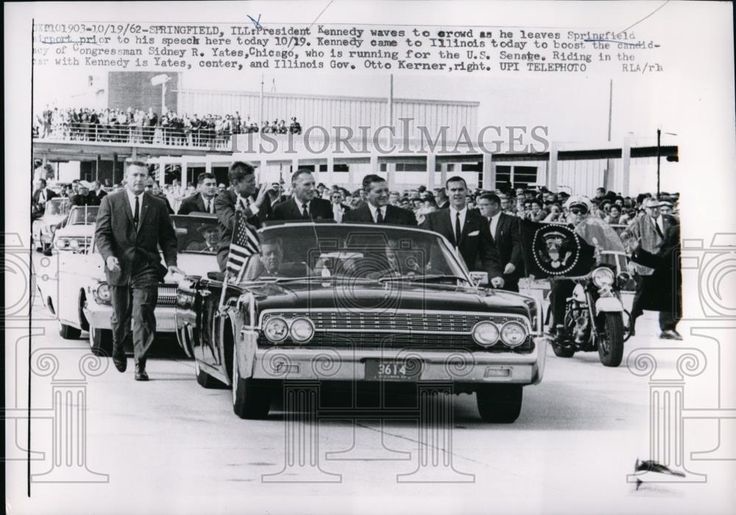 Thirteen months later, under similar circumstances, after gunshots echoed throughout Dealey Plaza, some in the Secret Service must have wished that the episode in the shadow of Lincoln’s Tomb had been taken more seriously.